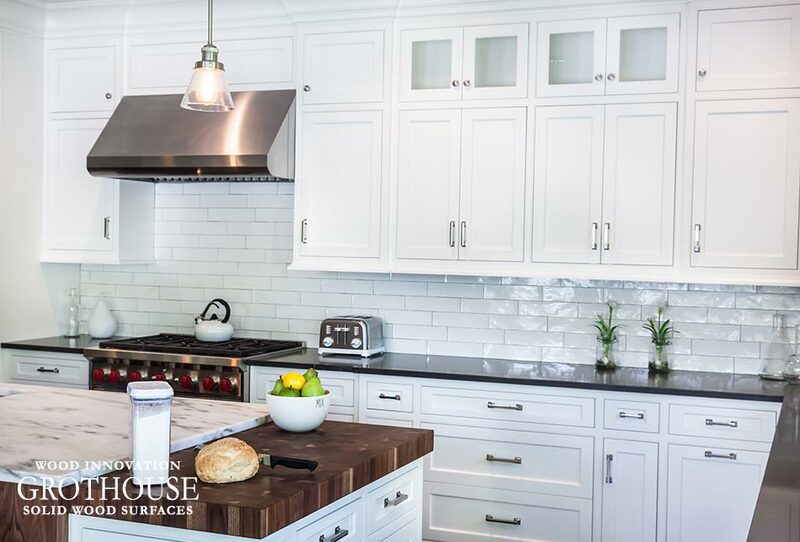 Grothouse Original Oil keeps custom solid wood countertops properly moisturized and ensures your countertops look as beautiful as the day you got them. This oil can be used on wood countertops, butcher blocks, soapstone, salad bowls, wooden utensils and more. Grothouse Original Oil™ is a fragrance-free, heavy weight pure mineral oil. It does not contain nut oils, making it food safe and hypoallergenic. The oil applying process is simple and easy. All you need is a paper towel or cotton cloth to spread a thin coat of oil over the surface. Be sure to oil the sides and the exposed bottoms of the wood countertop. For best results, allow the oil to soak in overnight. If you need to use your countertop or butcher block top right away, then remove any excess oil with a dry cloth and your piece will be ready to use. Grothouse Original Oil™ should be applied once a week for the first month after receiving your wood surface. Thereafter, the piece should be oiled at a minimum of once per month or if the surface appears visually dry. Grothouse Original Oil™ may be purchased through our online Shopify store. We offer 3 types of bundles, single bottle, case of 4 bottles and case of 12 bottles. If you purchase one of the bigger bundles you could save up to $103. 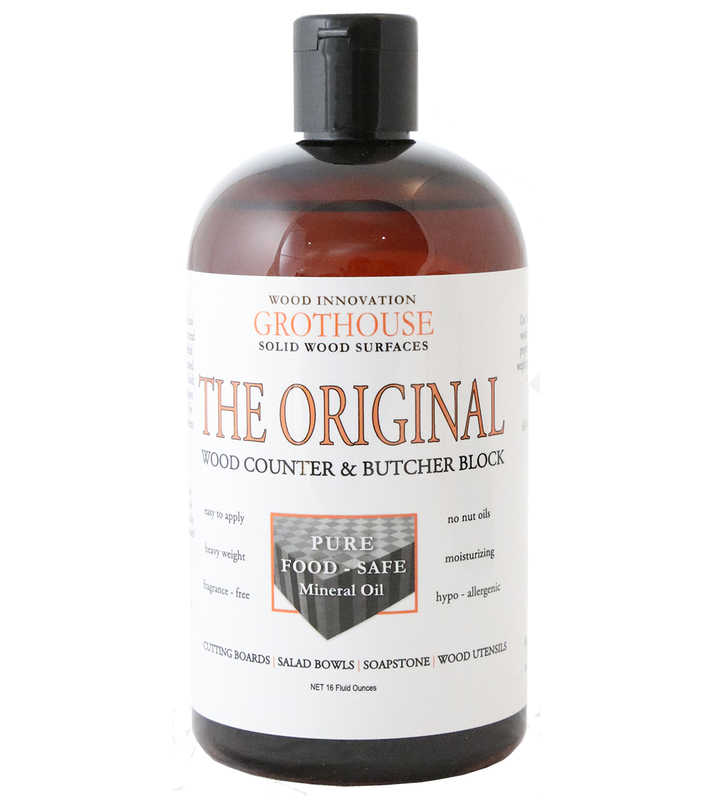 Purchase Grothouse Original Oil to keep your solid wood surfaces properly moisturized to last a lifetime. 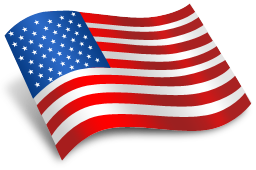 Please contact us if you have any questions by giving us a call at 610-767-6515 or emailing glumber@glumber.com.